The current cosmic-egg theory maintains that 14 billion years ago, the entire universe was compressed into a single point, or “egg,” in space-time; a theory incorporating Edwin Hubble’s expanding universe observation, which Alexander Friedmann predicted through Einstein’s general relativity equations. Now, the poet Alysia Nicole Harris writes “how much we must have looked like stars to stars.” It is true that we are as ancient as our ancestors, the stars. When you think of things this way, why wouldn’t everything be connected? Artists pull together worlds torn apart to lead us to greater wisdom. Donald Fels, former Fulbright Senior Research Scholar to India prolific for his visual projects connecting science, art and humanities, has coined the phrase, “artisthinker.” Tavishi carries on the legacy of original thinkers against a modern backdrop where vacuums of industry idly compete. 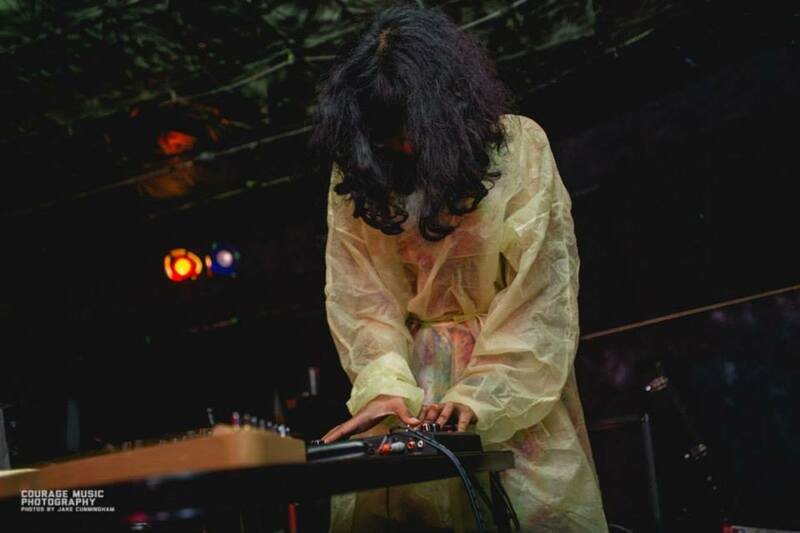 Tavishi is the solo sound project of composer, performer, visual artist and scientist, Sarmistha Talukdar. Photo by Jake Cunningham/Courage Music Photography. Tavishi generates her music via data sonification. Uh, what? Yeah, you can make music from data sets. The eerie, beautiful kind that indurates skin. At least, that’s what Tavishi does. But cataloguing somatic cell mutations is just one way—some capture the stars. After losing her sight in her twenties, astronomer Wanda Diaz Merced’s passion for supernovas drove her to find a way to hear the stars: sonification. Sonification is a process in which sound waves are used to detect patterns in data, which translate into properties for the human ear: pitch, duration, waveform. Take heed, this is no equal alternative. Data sonification reveals patterns undetectable by visual representations, such as graphs. “Any information at a single instant of time can be described by a wave function. This is true not only at quantum levels but also at cosmological levels. Scientists literally listen to gravitational waves sent by dying stars. Information (sonic/ photonic) travels in waves, we even feel emotions in waves,” Tavishi explained. Sonification is a sophisticated technique but it’s also pretty punk rock. Tavishi is in good company with creative scientists who use the technique to push boundaries on the kind of insight human senses can gather. 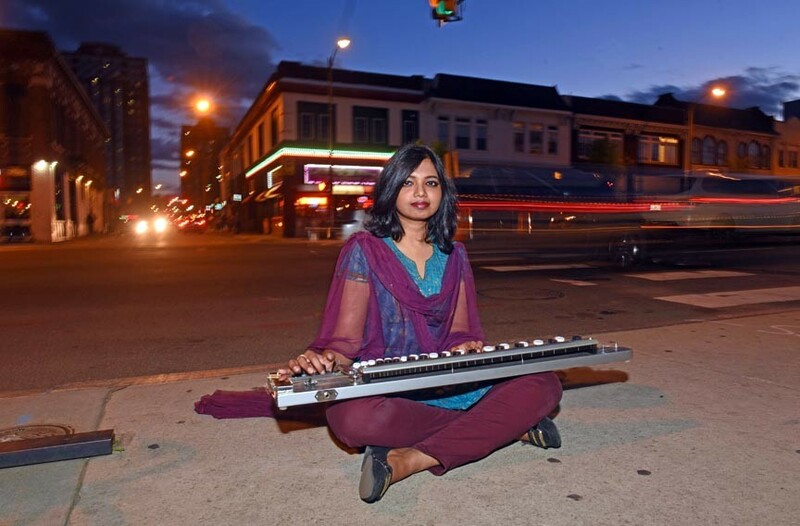 It is fitting, then, that in her latest album entitled Boundaries, Tavishi combines scientific data, Indian music, western noise, and ambient and industrial elements in her compositions. Although Talukdar is not a religious person, she grew up in a religious and conservative Bengali home. Talukdar can see mathematical patterns in music. The person and the artist, Tavishi, are indeed one. She first began to notice her gift when she learned about chords and notes, which conform to mathematically derived codes. In classical music especially, the symmetry of compositions come from their mathematical structure. As for which comes first or with intent, we may not always know. Tavishi, however, is an artist who wants listeners to know that this is the concept she rides on. “I am not the first to see these patterns. Early Indian theorists document the correlation between the mathematical laws of harmonics and rhythms and their relationship with human well-being. I guess that explains the rules of the different ragas, and why they have different time/season associated with them. Ancient Greek philosophers, especially Pluto and Aristotle, similarly documented the connection between the two. In fact, they were very convinced that music was a sub-category of mathematics and classified it in the “quadrivium” of other mathematical subjects such as geometry, arithmetic and astronomy,” she said. Tavishi’s creative process is intuitive, similar to her experiment process as a cancer cell researcher in the Virginia Commonwealth University laboratories. Along with electronics, Tavishi plays the synth, esraj and shahi baaja. There are prominent drone sounds in her music, like in “Aage Jodi Jantam Re Bondhu (If I had known earlier, friend).” In classical Indian music, drones come from instruments like the tanpura, harmonium and Shruti box. Beyond mathematical symmetry, music is a language and in it is story, one that may explain who we are and how we got here. “The notch signaling pathway [in our bodies] is like dance music. I think that is because the signaling in our body is so well orchestrated and choreographed that it reflects in the sonification,” she said. She continues to tell the depths to which her compositions go. The track “The Forgotten One” is a sonification of Plutonian data. “The song has a spooky, alien feel to it, with a lot of space, depicting the gaps of our knowledge about Pluto. Most of the sound is towards the end, which is how the New Horizons [space probe] transmitted data. In the beginning the data was not much, but as it reached closer and closer to Pluto, the data also got more extensive and intricate,” she said. What kind of music do cancer cells make? Cancer is a word that drops like an anchor. It’s also an irritation, too much of something that has spun out of control and keeps growing. Everyone has cancer cells in their bodies that the immune system fights off every day. Sometimes, when the body’s defense mechanisms become too weak to fight the cells, or when they start to speak a different language than autologous cells, cancer cells mutate and proliferate. Essentially, this is the dispassionate process of cancer. Most medical textbooks and many people get the general pathophysiology of cancer. The staging and personal wreckage is what makes most people swallow a stone. But in the same vein, “cancer” is a word that makes some others light up—scientists, professors, intellectuals, businessmen. It’s elucidating the etiology and advancing the treatment that makes cancer research so lucrative and fascinating. In her most recent collaboration with Mintzu Chen, Tavishi created the music video for her audio track “Cancer.” The music was generated using data sonification from a catalog of cancer mutations. The morbidity of the disease is visually excerpted by kaleidoscopic, time-lapse imaging including cancer proliferation, online news sources, and agriculture-based media. The color moding is dark, mirroring colors observed in in-vitro cancer cell culture. And the music is just as haunting. In this bobbing visual narrative, Mintzu Chen and Tavishi represent the growth, spread, and decay of capitalism through petri-dish culture; and the controversies involving industries that benefit from cancer. In its morbidity, cancer has gained celebrity. And through its darkness, some researchers have eviscerated its broad light spectrum. The piece leaves the viewer thinking about who benefits, and what the true motives are, in the glamorous cancer industry. Tavishi gives every dimension of her humanness to her music—her thought, ancestry, talents, insights and inquiries. This is modern-day STEM. There are many children who are hungry to be told that they can be a scientist and a musician, that in fact, these roles are helixed together. Find more of Tavishi’s music on Bandcamp, Soundcloud and Youtube.